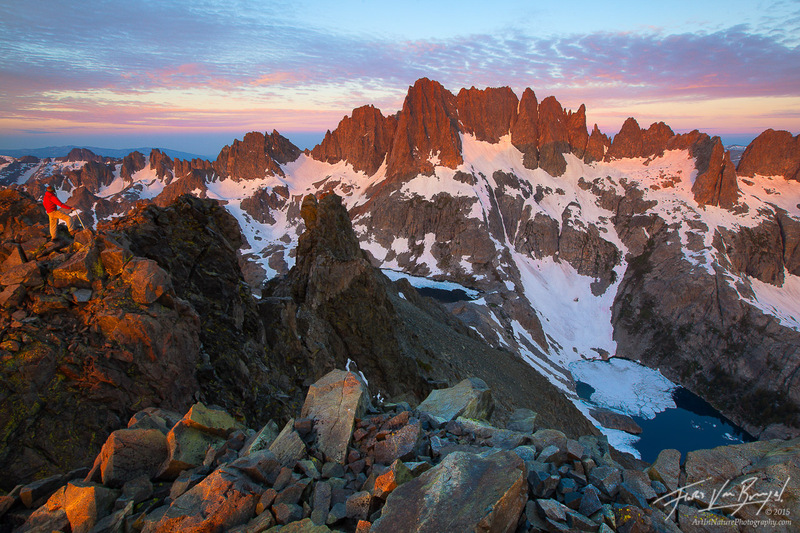 "The Range of Light II"
One of the most spectacular mountain views I've witnessed is that of California's Minaret Range in the Sierra Nevada from the top of the Volcanic Ridge. In order to get this view I camped half a mile away tucked away at the edge of treeline, and awoke two hours before sunrise to climb and scramble my way to the top of the peak's talus. In order to provide a sense of scale and story I set the remote time and climbed into the picture - image also available with me in it.